Is Russia playing a double game in Mueller court battle? A Russian company has challenged Mueller with a spirited legal defense. When special counsel Robert Mueller announced indictments in February targeting 13 Russian individuals and three Russian business entities for their alleged roles in a Kremlin-directed election influence campaign, legal experts thought the case had little chance of going forward. After all, each of the defendants was believed to be safely in Russia, which does not have an extradition treaty with the U.S.
"When those indictments dropped I think it was widely assumed that it was unlikely that any of those defendants would ever appear in a U.S. court," April Doss, a former attorney for the National Security Agency, told ABC News. But then the Russians did something unexpected. In April, an American law firm told the court it was representing one of the accused businesses entities, Concord Management and Consulting, LLC, that wished to fight the case. Unlike cases against individuals, the American legal system allows for corporate defendants to be represented by an attorney even if no individual from that company is physically present in court. The quirk in the system meant that Concord could fight the charges from Russia without any of its officials actually standing in front of an American judge. After pleading not guilty to a fraud-related charge, Concord, through the Pittsburg-based law firm Reed Smith, has mounted a spirited defense, challenging the special counsel's office every legal step of the way. Eric Dubelier, the lead attorney for Concord, declined to discuss the case. Doss, who recently served as senior minority counsel for the Senate Intelligence Committee’s Russia probe, said Concord could be fighting back for "reputational" reasons -- in order to clear its name -- but she and other national security and legal experts told ABC News that Concord, and ultimately the Kremlin, could be up to a more concerning double game: using the U.S. legal system to gather intelligence or undercut the broader Russia probe. In the same way U.S. officials said Russia pursued different goals in the alleged 2016 election interference campaign to set itself up for what Doss called a "win-win-win" regardless of the election's outcome, she said it's "entirely possible that something similar is happening inside this Concord litigation." (Alexander Zemlianichenko/AP, FILE) Yevgeny Prigozhin gestures at the Konstantin Palace outside St. Petersburg, Russia, Aug. 9, 2016. To Matthew Olsen, a former senior official in the Justice Department's national security section and an ABC News consultant, Concord's legal strategy raised a concerning question: what if the Russians were attempting to force an American court to play host to an ongoing intelligence-gathering operation? Olsen described what could be a new twist on an old espionage and legal tactic known as graymail, in which a defendant argues that their defense requires the disclosure of sensitive information. It could be a legitimate request, or it could be designed to force the U.S. government to make “hard choices” about dropping charges or pursuing them at the risk of exposing sensitive intelligence, Olsen said. "It definitely comes into play in many if not most espionage cases," he said. A representative for the Russian government in Washington did not respond to ABC requests for comment. In an early discovery request, Reed Smith requested access to detailed information about special counsel Robert Mueller's investigative methods, including all electronic surveillance of the defendants and identities of any informants involved in the case. It also asked for evidence of any time the U.S. has interfered in a foreign election since the end of the Second World War, a period covering more than 70 years of potential U.S. secrets. Mark Zaid, a Washington, D.C., attorney who specializes in national security cases, said in August he suspected Concord’s goal was to "expose what the government knows." "They’re digging. They're fishing," Zaid said. 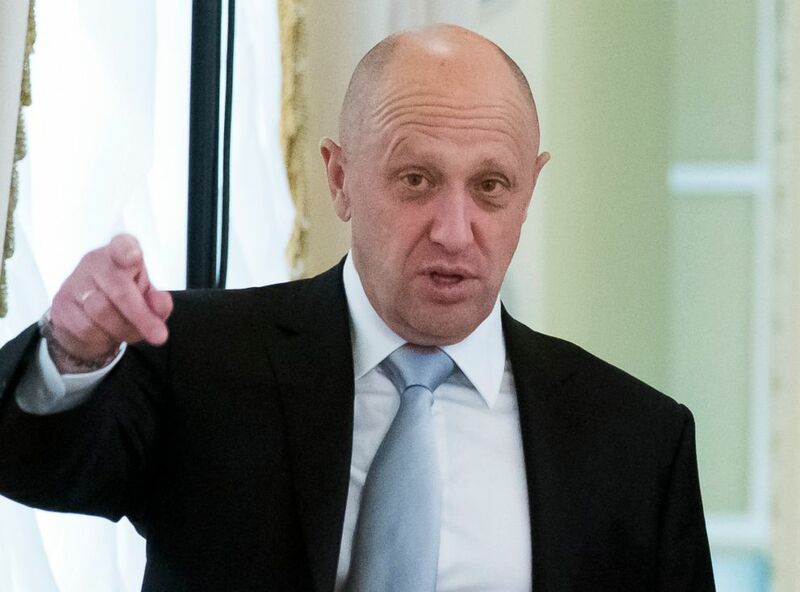 Due to Concord's purported ties to the Kremlin -- the firm is owned by Yevgeniy Prigozhin, often referred to as "Putin's chef" -- prosecutors appeared concerned that any sensitive information they turned over to the defense could take a detour to Moscow. In a court filing in June, they argued that the judge should impose restrictions on the handling of discovery information because of the "risk of exposing this material to the Russian government." After some back and forth, the special counsel's office and the defense eventually agreed to use special measures first developed decades ago to deal with cases involving classified information, including a "firewall counsel" who will help decide what information can be shared by defense attorneys with other parties and strict rules about where documents and other materials can be stored. New York defense attorney Alexei Schacht, whose cases often run into classified information, said the protective system generally works, but is dependent on all parties "playing by the rules." (Naira Davlashyan/AP, FILE) A view of the four-story building known as the "troll factory" in St. Petersburg, Russia, Feb. 17, 2018. 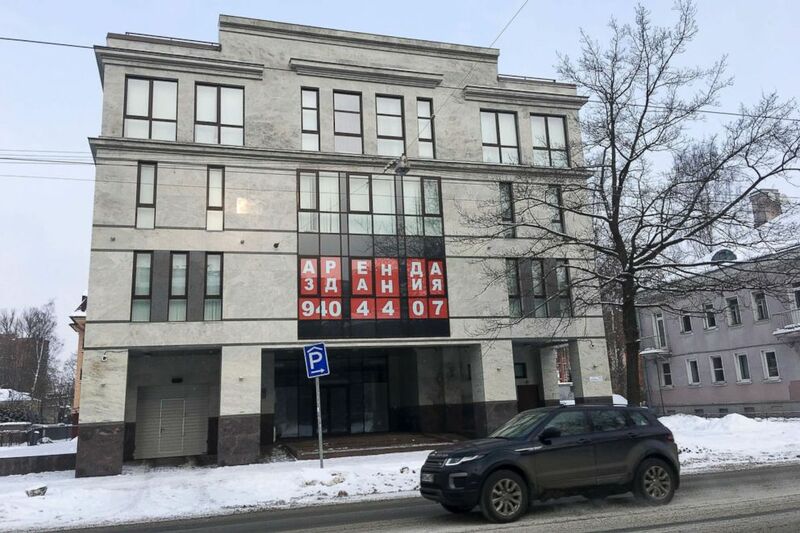 The U.S. government alleged the Internet Research Agency started interfering as early as 2014 in U.S. politics, extending to the 2016 presidential election, saying the agency was funded by a St. Petersburg businessman Yevgeny Prigozhin. In June, lawyers for Concord deployed another tactic -- filing a motion to dismiss the case by taking aim at Mueller directly and questioning the constitutionality of his appointment. Doss, the former NSA attorney, said that while a dismissal would be at odds with the intelligence-gathering tactic, either would further Russia's broader interests. "It doesn't have to be a single choice," she said. If the legal attack on Mueller had been successful, Doss said the resulting political fallout would "sow discord" in the U.S., which was "the whole goal of the 2016 active measures campaign." So far Mueller has managed to fend off Concord's and other similar legal challenges, including one by Andrew Miller, an American who defied a subpoena from Mueller by arguing the constitutionality question. In August two judges rejected Concord's bid to formally join in an appeal launched by Miller after his argument was also struck down in a lower court. Paul Kamenar, Miller's attorney, told ABC News he couldn't speak to Concord’s motivations, but he praised Reed Smith's work on the constitutionality argument and said the firm was doing a "professional and excellent job of making their defense." Since the unsuccessful argument against Mueller, Concord has challenged the case on other legal grounds, including claiming "selective prosecution," a charge with which the court is now grappling. Doss said that any dismissal would "undermine the effectiveness of the prosecution" in the wider Russia probe and weaken arguments against Russian election meddling internationally -- another "strategic goal" for Moscow. As the case continues on, seven months after Mueller's original indictments, Concord has not shown any sign of letting up in the legal siege. "There's no downside," Zaid said. Even if Concord loses its case, "they can just disappear. It's a corporation, and they're not here."